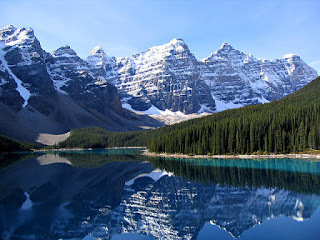 At Wisdom's End: Fair Questions: Why is post-Reformation Biblical literalism a dead letter? Fair Questions: Why is post-Reformation Biblical literalism a dead letter? Before I start, I want to emphasize that I think the literal sense of Sacred Scripture is very important. It's been considered very important throughout the long history of Catholic scholarship on the Bible, from the early Church through the medieval era and into the modern era. This hasn't changed. What has changed is that a reductively literalistic view of Biblical interpretation has gotten more popular in some circles. It is this reductively literalistic view with which I take issue. For a Catholic perspective on how to understand Sacred Scripture (which some non-Catholics are largely in agreement with), start with the Catechism, and then read this piece on addressing contradictions, and this piece on skepticism related to the Bible. Thou shalt not take away or add to the Bible; it is the sole rule of faith. Reading the Bible literally is the only tenable interpretative approach. Any apparent contradictions have to be resolved literally. Any apparent contradictions cannot be resolved by inserting additional information into the text from tradition or speculation. Any apparent contradictions cannot be resolved by removing information from the text. There are many lists on many websites laying out these alleged contradictions in the Bible. Now, most of what folks refer to as contradictions in the Bible aren't actually contradictions in a logical sense that matters for literal interpretation. They just reflect a lack of knowledge on the part of the reader, or confirmation bias that sees contradictions everywhere. That said, there are certainly passages in the Gospels that read as flat-out contradictions. And Christians who take what I described above as a Biblical literalist view are going to have a hard time explaining those within the constraints that their position requires of them. One example of this relates to the narrative of Jesus' resurrection from the dead in the Bible. In the Gospel of Matthew's narrative, Mary kneels down and clings to Jesus' feet right after the Resurrection. In the Gospel of John's narrative, Jesus explicitly tells her she's not allowed to touch him before she even tries. How can we reconcile that the Gospels claim these both to be true? Well, we could suppose that Scripture is missing some information. Maybe the Gospel of John just left out the fact that Jesus specifically told her not to touch him because she had already knelt down and touched his feet? Maybe it's not a different narrative at all? But John's account actually proposes something different, that Mary did not recognize him at first, and when she did recognize him, that Jesus instructed her not to touch him as she was turning towards him (read the verse in context here). In Matthew's account, it's not just Mary, but the women as a group, who recognize him and kneel before him to grab his feet (read the verse in context here). Now, this can be resolved by merging the texts. We can take the part from Matthew about it being a group of women and them recognizing Jesus and grabbing his feet, and then he tells them all not to touch him because he hasn't ascended to the Father yet. We could make a single narrative out of it in a variety of ways. But there are going to be multiple places where we have to remove some parts of one Gospel account in order to make room for the other, or add interpolations to the Gospel account in order to get a single non-contradictory literal account of the events. Creating a harmony of the gospel accounts is a not uncommon project of Christians who are very interested in synthesizing Biblical teaching. And there's a very simple reason that there are so many attempts create a single Gospel account that manages to include all the account of Jesus' life: it's very, very difficult to do so. Narrative contradictions make it especially difficult for Biblical literalists, but it's difficult even for those of us who read the Bible keeping in mind the literal, moral, anagogical, and allegorical senses of Scripture. If it were easy to do, it would have already been done well before the 1st millennium of Christianity had ended, and most Christians would simply be referencing that text. Clearly, that is not what has happened. 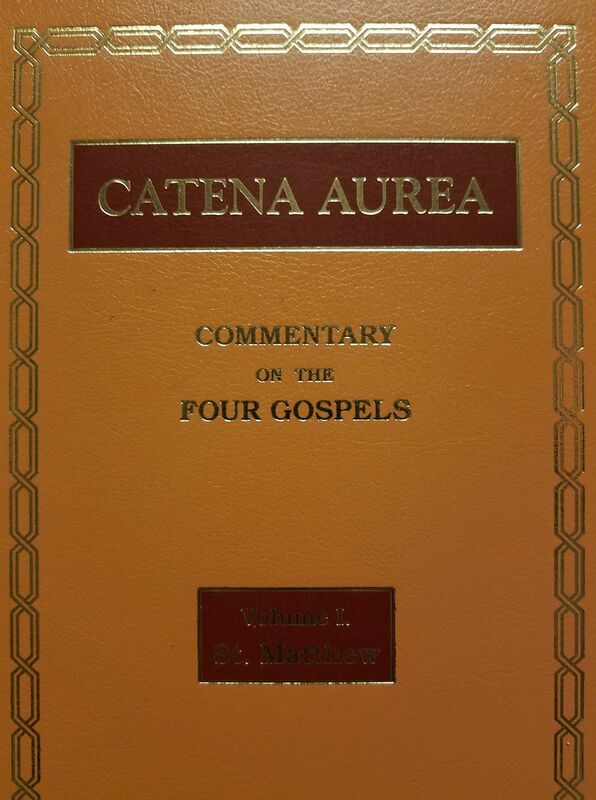 The closest thing I've found is the Catena Aurea, and it's well worth reading, but it is not an attempt to harmonize the Gospel accounts into one narrative. However, it does contain some useful explanation as to why the Gospel authors chose to tell those narratives differently, and it's mostly an explanation from the perspective of early Christian thinkers and writers. Most early Christian thinkers and writers, because the canon of Scripture wasn't a settled question for several hundred years, didn't see themselves as part of a text-based religion that looked to the Bible as the sole rule of faith (a view designated by the Latin phrase Sola Scriptura today). It's likely that most early Christians would see the Protestant idea of Sola Scriptura as weirdly incomplete as compared to their own view of the Church as providing the rule of faith. For example, Irenaeus of Lyons was a big fan of using the Bible to make his case, but he saw the Holy Scriptures as being part of the Apostolic Tradition, not as the sole rule of faith. The view that the literal sense of Scripture is not just necessary (its necessity being the Catholic view), but indeed all-sufficient as the rule of faith (which is the view of some post-Reformation Christian groups), is a strange new idea. It's not the sort of thing that the early Christian community that compiled the Biblical texts would likely have thought very intelligible. This strangely reductive literalism, for them, would have been what the Catechism calls a dead letter, the product of viewing Christianity as a "religion of the Book" like Islam. The Church, on the other hand, is a living authority, a transmission of the Apostolic Tradition from generation to generation. 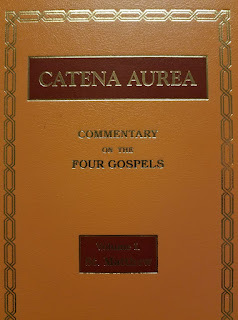 It is only in light of the Tradition, shaped by the various Apostolic oral traditions of the early Church, that we can understand the Gospels aright. They are representative of the orally transmitted teachings of the Apostles, inspired by their encounter with the Living God and transmitted in a shockingly faithful way despite the many imperfections of the human beings involved in the process. Related: Will reading the Bible make people atheists?